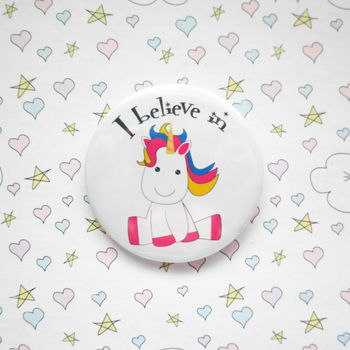 I believe in unicorns, do you? Of course you do! 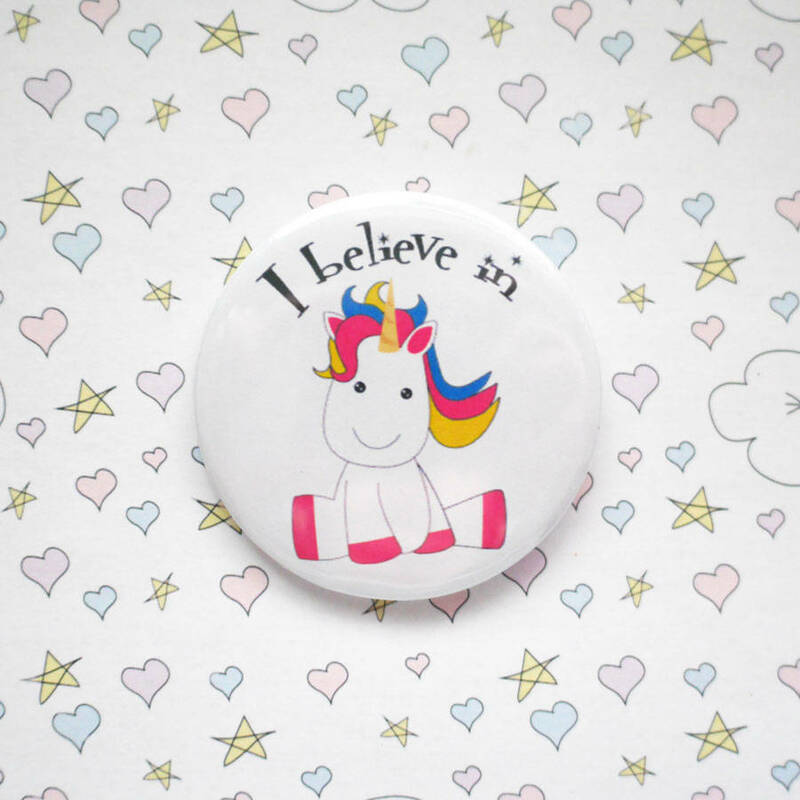 Wear this unicorn badge proudly every day and let everyone who you meet know that too. 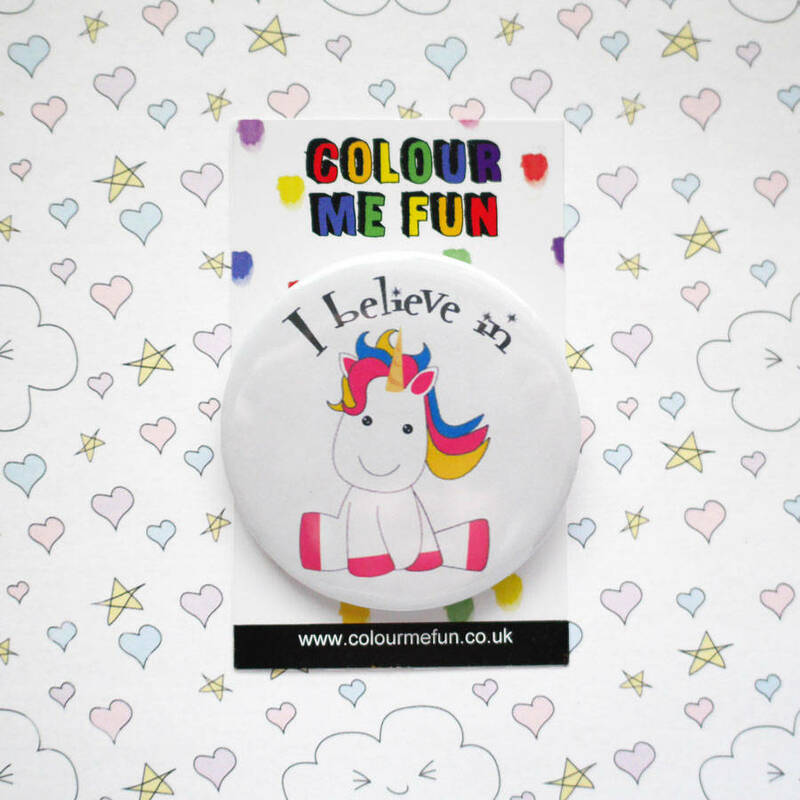 A great idea for party favours, birthday gifts or anyone who loves unicorns too. Interested in a discount for placing a bulk order for our pin badges? Please send me a message if you'd like more details.Each badge measures 58mm (2 1/4").